In this lesson we are describing sidereal time and are listing the formulas to derive 10th house and ascendant degree accurately using sidereal time. Oral computation of ascendant is also described. Attention is drawn towards the common error committed by most of the fellow astrologers in the computation of ascendant or planet degrees. One Solar day is the time between two successive passages of the sun across the meridian as observed at a particular place. In astrology, we are interested in motion of stars. We want to know the time period of earth when any star is observed to return to the same position. Such a clock is called a sidereal clock and its time, being regulated by stars is called sidereal time. GMT and Greenwich sidereal time coincide at one instant every year at the autumnal equinex (around September 22). Thereafter, the difference increases until half a year later it is 12 hours (around March 23). After one year, the times again coincide. To compute sidereal time manually, please refer to "Tables of Ascendants" by N.C. Lahiri. where w is the inclination of earth's equatorial plane to the ecliptic. where j is the latitude of the place. The value of the ascendant as calculated above is the sayan value. Subtracting ayanamsa we get nirayana ascendant. The above formulae gives accurate values of ascendant. In absence of scientifc calculators, the ascendant & the tenth house can be computed using tables of ascendant by N.C. Lahiri. However, calculation of ascendant using tables gives rise to errors because of tables not available for the given place or for the given sidereal time. This error some times goes upto many minutes of arc. The ascendant can also be computed approximately orally from date of time of birth. It does not vary much because of latitude or longitude, if local time is taken. So take the standard time & roughly estimate the local time. Take the date of birth and estimate the Sun degree, using the fact that it is 00 on 14th April and it advances by 10 everyday or 1 sign every month. If the date of birth is December 13th, then as per table given Sun enters into Sagittarius on 15th Dec. Hence it is approximately on 280 scorpio on 13th December in any year. Since at Sun rise, Sun is at the eastern horizon, so the Sun degree matches with the ascendant degree. 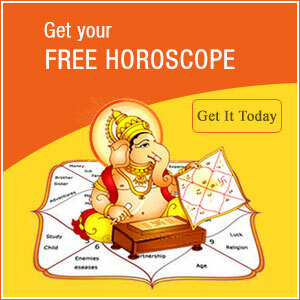 Hence at Sun rise on 13th December any year, the ascendant is approximately 280 Scorpio. After that it increases by the sign every 2 hours or 10 every 4 minutes. More accurately, it crosses six signs from Sun rise to Sun set and next six signs from Sun set to Sun rise. So if time of birth is 1 PM and since sunrise is approximately at 7.15 AM in Delhi at that time and day duration is only about 10 hours the ascendant after 5hrs. 45 minutes of sunrise shall be 3 signs and few degrees away than the Sun, that is, it will be just crossing Aquarious and reaching Pisces. Actual calculations show that ascendant on 13.12.56 at 1 PM at Delhi is 90 7' Pisces. Traditionally, we calculate ascendant from Ishta Ghati using Palabha, Lankodaya, Udaymaan and Sun degrees for different signs. However because of better trignometric methods described above we are not putting it down here. To make the task easy, Panchangs give ending time of ascending signs on daily basis for a given place. These tables can be directly used to get fairly correct ascendant sign. An interpolation of time between the two signs also gives us ascendant accurate to a degree normally sufficient for most of the astrological predictions. 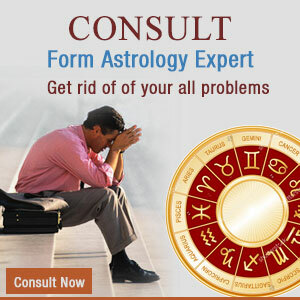 To utmost surprise, at least 50% astrologers commit mistake in calculating the ascendant for foreign births. This is mainly because they convert the time of birth to Indian Standard time. This way if a birth has taken place in the morning in New York, it becomes evening in India. Then when we calculate the horoscope, we find sun placed in the 7th house, whereas it should be in the ascendant by virtue of the definition of ascendant itself. The trignometric method above holds good for any date, time and place of birth. You do not have to change anything anywhere. However, if you want to compute ascendant orally, then also go for the method prescribed above. It will give approximately correct value of ascendant for any longitude or latitude (south latitude also). To make the task further easy, take any Panchang which gives ending moment of signs for given local time of birth. Compute the local time by making oral correction for longitude to time zone and look into the table to get ascendant accurate to few degrees. This works because of the basic fact that ascendent varies only by a few degrees due to latitude. Further note that to calculate planet positions using ephemeris or Panchangs, it is necessary to convert time from other time zone to IST since the Panchangs are giving values at IST only. This is the common mistake done by most of the astrologers that they convert time to IST for calculation of ascendant and take the time as it is for calculation of planet degrees. So, remember : Do not convert time to IST for ascendant calculation of foreign births but convert the time to IST for planet degree calculations.